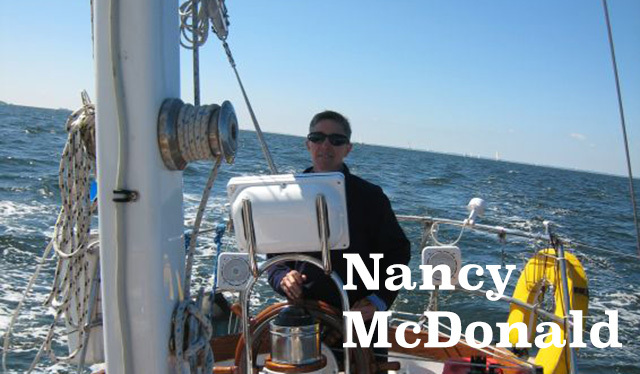 Nancy McDonald is 57 years old, lives in Annapolis, Maryland with her wife Karen, a research biologist for Smithsonian Institution and three cats. She is always sharing SEO tidbits, be it writing her own blog posts, sharing others and offering training and client services. She loves helping people learn what SEO is, how it helps businesses and organizations and how you can achieve success with SEO. She does this for both profit and non-profit reasons and teaches both in a professional setting and academic setting. Nancy is a fantastic SEO/SEM instructor. She patiently and intelligently taught me both basic and advanced SEO. She has consistently made herself available to me, long after I took her class, both by phone and by email. Nancy is a credit to the SEO industry and should be recognized as such. Nancy McDonald Bio: Nancy got started in the SEO space way back in 2004 while she was still working full time as a U.S. Federal government employee. She mostly taught herself how to do SEO for her first website - an information site about cat litter box issues, of all things - and saw how optimizing a site with the right topics really can bubble up in search results. Since then, Nancy started a full time SEO career in 2009 when she ran Search Engine Academy Washington DC. In 2014, she re-branded her training and SEO service company as Invenio SEO. When not teaching or doing SEO client work, Nancy supports the local business community by teaching a two hour SEO workshop at Morgan State University several times every year. Favorite thing about the SEO community? Two things actually - the SEO professionals who are always testing and troubleshooting website issues that affect rankings and their generous documentation of those problems, as well as the willingness of the community to offer advice and assistance when someone is stuck trying to get a site to show up higher in search results. One piece of advice to the SEOs out there? I have a motto that has been true so far: Semper Gumby - always flexible. Be prepared to wake up in the morning and discover that Google has rolled out a major update that impacts your web properties. If that's the case, develop a troubleshooting workflow and get to the bottom of the issue. Favorite things in general? Those who know me know that I'm passionate about sailing. When I'm not working, if the weather cooperates, I am sailing on the Chesapeake Bay. I enjoy flying my FAA-registered drone and shooting videos of the Chesapeake Bay. I also help to rescue hawks, owls and vultures so they can hopefully be nursed back to health and released into the wild again. Every August, September and October, you can find me at the Maryland Renaissance Festival either dressed as a pirate or in the McDonald formal hunting plaid! What you want to be known for in the SEO space? That you can call or email me with questions. I'll give you answers or at least point you in the right direction to find a solution. I learn new things about SEO every day, and I am more than happy to share that knowledge with anyone who is serious about publishing a website that gives web readers all the information they need on a topic, product or service. To learn more about Nancy, check out her company site, connect with her on LinkedIn or follow her on Twitter.